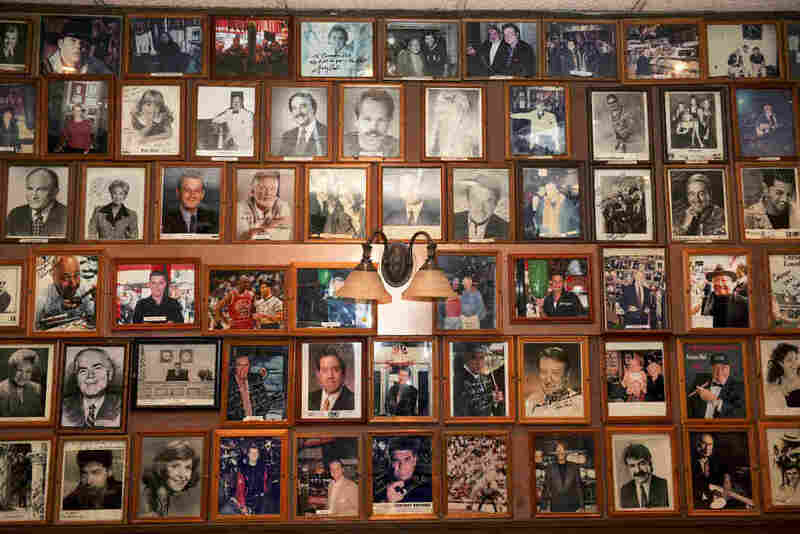 After 8 Decades And Countless Pastrami Sandwiches, New York's Carnegie Deli Folds : The Salt The iconic deli in midtown Manhattan is closing its doors after nearly 80 years in business. Its oversized sandwiches defined a certain kind of New York restaurant. 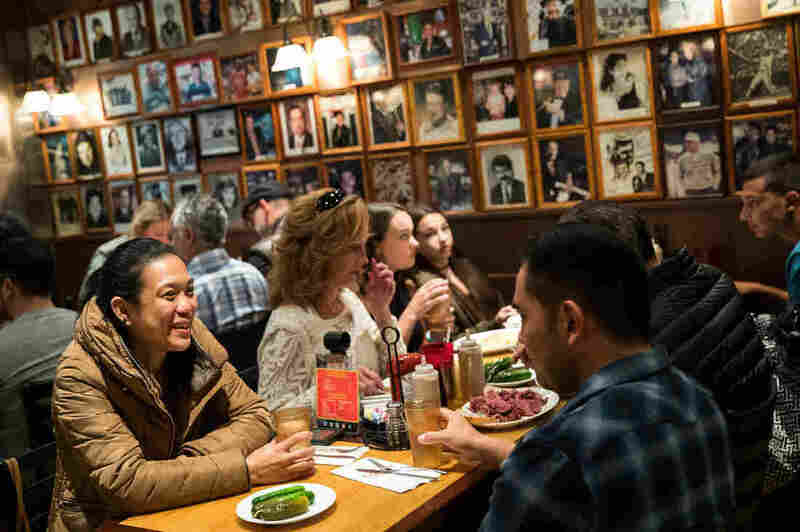 Customers dine at Carnegie Deli in New York City. 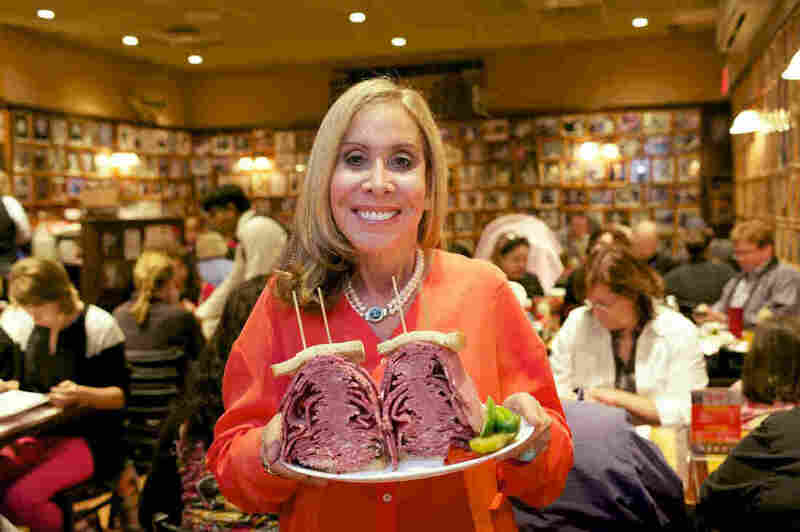 The iconic deli, known for its large pastrami and corned beef sandwiches, announced it will close at the end of the year. 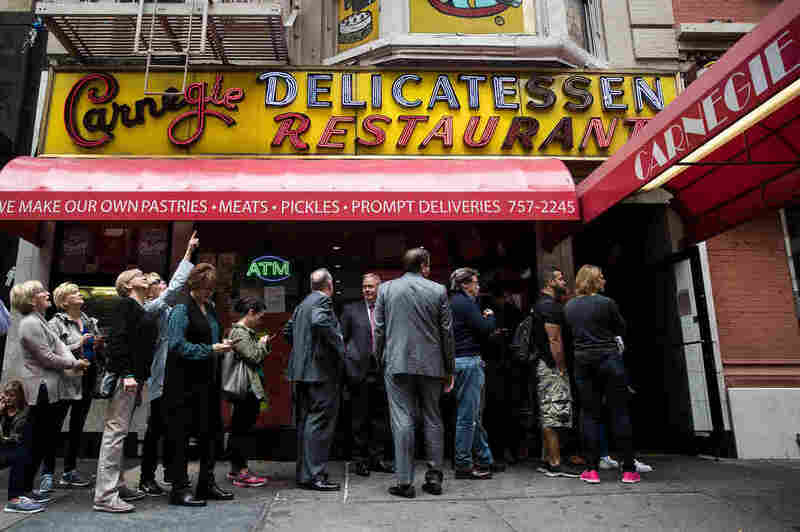 Customers wait in line outside for a table at the Carnegie Deli.